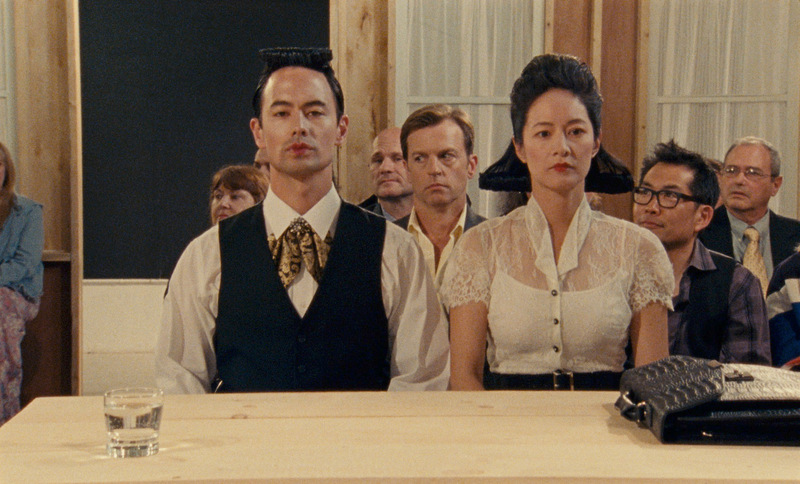 Since the premiere of In the Family (SDAFF ’11), director Patrick Wang has cemented his place as one of American cinema’s most singular talents in the mold of independent visionaries like John Cassavetes and Hal Hartley, with each film the window into a distinct worldview. Along with The Grief of Others (SDAFF ’15), Wang’s work opens a door for audiences he treats as friends. They are set in small towns. They portray the labor of feeling and community with humbleness but an adventurous eye. A BREAD FACTORY, PART ONE may expand his canvas and diversify his tones, but it is uniquely Wang’s, and that’s a very good thing. 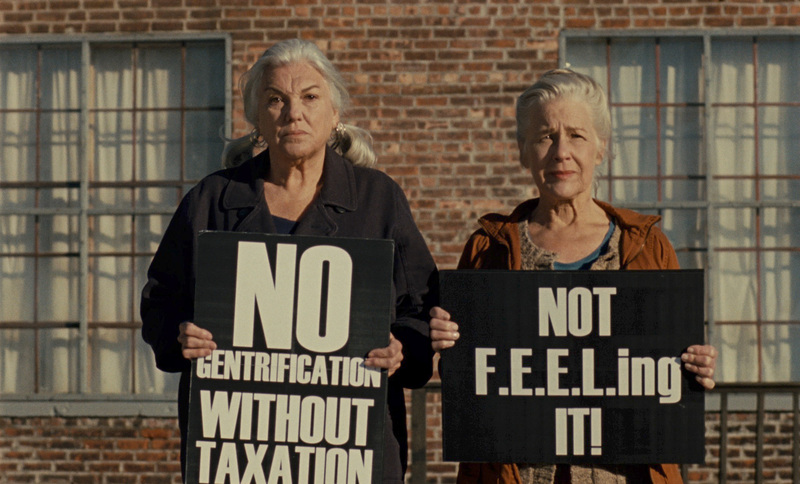 The film, the first in a duology, drops us in the commotion surrounding a municipal vote to defer funding from a 40-year-old art space called The Bread Factory, to carpetbagging art entrepreneurs selling laughable performance art “from China” as part of an inside deal with the mayor. Dorothea and Greta, the indefatigable Bread Factory owners, work every angle to get the votes they need, all while prepping a new theatrical production. We also meet a budding journalist, a prickly out-of-town director, a Hollywood superstar, and a boy who projects the images onscreen and who sees and hears all. Together, the characters clash in a forum of language – spoken, performed, sung, typed, held back. “Words have to mean something,” cautions a veteran journalist, and with snappy humor and charm, Wang gifts his characters the words to surprise each other, to render passion into persuasion. This is a comedy where no punchline is predictable, and where even the ridiculous is tendered with care. The characters fight over the authenticity of their words, and under Wang’s watch, we make out the layers of truth beneath them all.